I wanted to learn how to squat, bench press, overhead press and dead lift using the Starting Strength (SS) method. 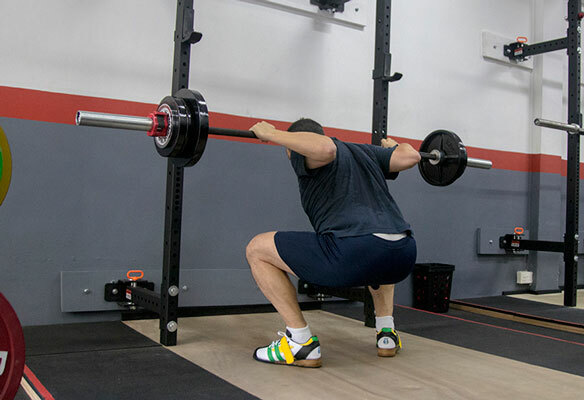 I had worked with a coach in Australia who competed in international power lifting competitions but I was never happy that the form she taught me was right for me and it definitely wasn’t aligned with the SS method. I’d read starting strength and watched lots of their videos but wasn’t entirely happy with my form. Once I found out there was a SS coach in Singapore I investigated a trip. Shaun was very helpful and suggested a 1-1 seminar at his gym. I sent through videos and training logs ahead of time. I was expecting some minor adjustments to my lifts. I flew in to Singapore, went straight to see Shaun, stayed overnight and flew home the next day. On arrival we looked at my squat, followed by OHP, dead lift and bench. I realized that my execution of the lifts was not aligned with the SS method and Shaun was able to effectively and quickly sort that out. I understood the theory but actually practicing it with a coach was entirely different. It was also very different to the sessions I’d had back in Perth both in the content but also the effectiveness of the explanation and cues during the lifts. Shaun encouraged me to take notes and made some suggestions on my programming. We discussed my nutrition but that appeared to be on track. It’s hard to believe how much more effective working with a qualified SS coach turned out to be. Those few hours with Shaun were vastly more effective than many hours with my coach in Perth and much more effective than my own efforts to implement the method using the books and videos. The experience was exactly what I was looking for. Shaun was an excellent coach and left me with a much clearer understanding of how to execute the lifts. I would recommend Shaun to anyone in the region looking for SS coaching.